By 2014, two new nature preserves, five national parks and a federal preserve are to be set up in Russia. By 2020, the number of new preserves is set to increase to six nature conservation areas and 11 national parks. As experts explain, this move is long overdue, but the money has not been available up until now. In order to set up a new nature preserve or national park, not only does the area need to be enclosed and gamekeepers need to be appointed, but a whole complement of specialists have to be recruited to study the entire site and organize excursions for nature lovers. Danilina is convinced that, now, when so much depends on developing tourism, it is the national parks, which are the least represented in Russia, that need to be developed. “They are just the kind of nature conservation areas that encourage development of the tourism sector. They are not just few in number, but they are allocated around the country unevenly. A national park performs two equally valuable functions: promoting tourism and conserving the natural environment. In contrast to a conservation area, a national park is open to visitors. However, parks are more difficult to conserve, because visitors leave lots of trash behind and the logistics are more complicated. The parks need people to develop a tourist component so as not to disturb the animals and birds,” says Zapovedniki’s director. The number of national parks in Russia is set to increase to five within the next year and a half, and, by 2020, they are set to increase to 16. The first to be given protection will be the following national parks: The Shantarsk Islands (Khabarovsk Region), The Chikoy River (Baikal Region), The Atarsk Bend (Kirov Region), The Sengileyev Hills (Ulyanovsk Region) and The Moskvorets Floodplain (Moscow Region). In addition, The Ingermanlandsk Preserve (Leningrad Region) and The Great Vasyugan Mire (Tomsk and Novosibirsk regions) are to be made into nature preserves, while the Solovetsky Islands (Arkhangelsk Region) are to be made into a federal preserve. “Conservation will begin in these areas in 2014, as the plans to establish the preserves have progressed sufficiently. Scientific research has been carried out, agreements reached, and so on. Each natural asset is unique,” says Vsevolod Stepanitsky, director of the Department of State Policy and Regulation in Environmental Protection and Ecological Security under the Russian Ministry of Natural Resources and the Environment. “For example, the Ingermanlandsk Preserve will be set up on islands in the northern sector of the Gulf of Finland, close to the border with Finland. They represent a unique island ecosystem, which is vital for migrating waterfowl and waders and for conserving Baltic Seal populations. 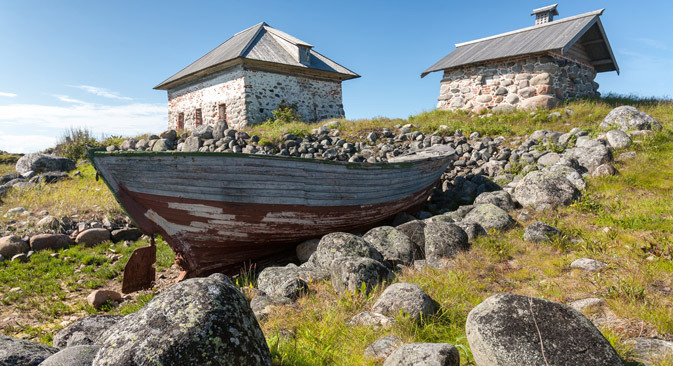 This has long been a maritime island nature preserve on the Finnish side of the border,” says Stepanitsky. What remains of the forests in the Podmoskovye region following mass developments of residential housing and dachas will be conserved also. However, the departmental executive noted that, while money has been allocated for conservation and scientific research, it does not amount to much. Apart from this, problems may arise when it comes to sourcing qualified personnel. Danilina is convinced that, given time, specialists will be found, even if they are working for low wages. Workers at nature preserves who contribute to specialized Internet forums say that it is best to find work in the northern preserves. In any case, however, they have to find additional work in order to earn enough money to live. “We were offered 5,000 rubles in the Urals, and, with bonuses and wage premiums, this would increase to 8,000 rubles. Apart from that, we would have had to spend quite a bit of money on local facilities,” say ecology specialists.